Alex is back… He did not want to be. A long-awaited vacation in Grand Cayman ends too soon for Rutledge and Detective Beth Watkins when Beth learns that someone has killed her houseguest, Elaine Ogilvy. They return quickly to Key West and, from the moment of their arrival, events suggest they might be in danger as well. A photographer who prefers ad agency and magazine jobs, Alex has no training in police work. Still, he often gets drawn into Florida Keys investigations. Monroe County Sheriff, Fred Chicken Neck Liska, has Alex’s back (usually), and The Aristocrats—off-kilter private eyes Dubbie Tanner and Wiley Fecko—provide off-the-books surveillance, background checks and info gathering. Everyone knows that success is not guaranteed. The victim’s father, Parke Ogilvy, whom Watkins knew long ago, comes to the island and offers the names of the ex-lovers of his daughter, one of whom could be in the Florida Keys. DNA crime evidence, a second murder, threats against friends and, for Alex, a solid link to events in the past boost the peril. Even with law enforcement at full force, Rutledge senses that only his actions will lead to a crime solution. 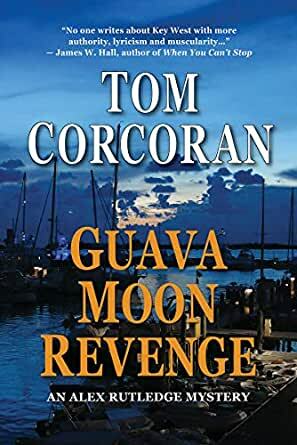 Crime Almost Pays: Starring Key West's "Bumsnoops"
Tom Corcoran is the author of The Alex Rutledge Series: The Mango Opera, Gumbo Limbo, Bone Island Mambo, Octopus Alibi, Air Dance Iguana, Hawk Channel Chase, and The Quick Adios (Times Six) plus the spinoff novel Crime Almost Pays. He has been a disc jockey, magazine editor, Navy officer, songwriter and screenwriter. 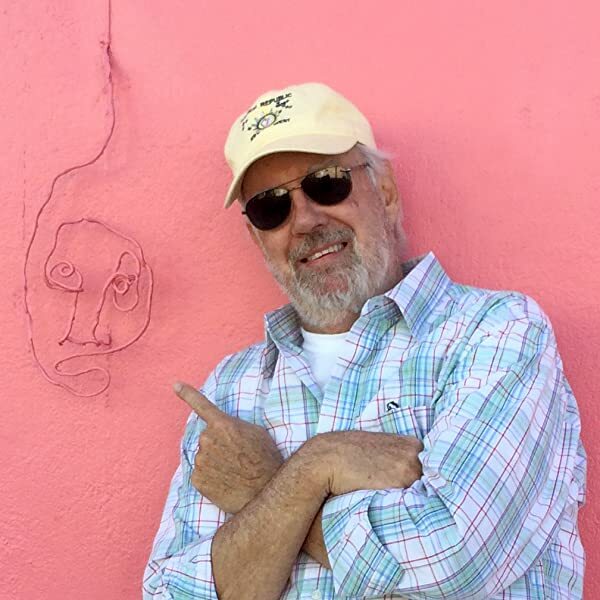 His photographs have appeared on seven Jimmy Buffett album and CD covers, and he co-wrote the Buffett hits, Cuban Crime of Passion and Fins. Corcoran splits his time between central Florida and the Lower Keys. This series gets better and better as the author, and his protagonist, matures. With double handfuls of well defined characters, a plot that keeps things moving and dialogue that keeps you on your toes, this book pulls you quickly through the narrow streets and lush alley ways of old Key West to a thrilling conclusion on the rock at the end of the road. this was agrat read ! Once again Corcoran has written another very good book sometimes really hard to put down. Locations are excellent and characters are very believable. Could have used the bumsnoops more for their humor. The plot was great but predictable. Really looking forward to Another one of Rutledge`s Key West adventures. My favorite writer and character in a book that keeps your attention throughout. So vivid that you feel you are in the story, are walking around in Key West chasing around looking for bad guys. Very descriptive and exciting to the end. Can wait for another adventure! 1.0 out of 5 starsKey West Extraordinaire. This is the best detective series based in Florida since Travis McGee. It actually very faithfully describes Key West and leads the reader on a tour of all it's goodies and baddies. Don't go looking for Dredger's lane though, but do stop at the described restaurants/bars/sights in you're ever in town. A romantic getaway is cut short by a murder back in the Keys. Another adventure for Alex Rutledge leads us through the streets of Key West. I really enjoy the visits to so many spots in the city that I know and love. When you add in a good story, then you have a book that cannot be beat. I was glad to see Alex back for another suspenseful adventure! I have read all of the Alex Rutledge Novels and this one did not disappoint. I can’t wait for the next one! Was waiting for awhile for him to have another book out and so glad he started back up. This adventure kept me glued to the book.